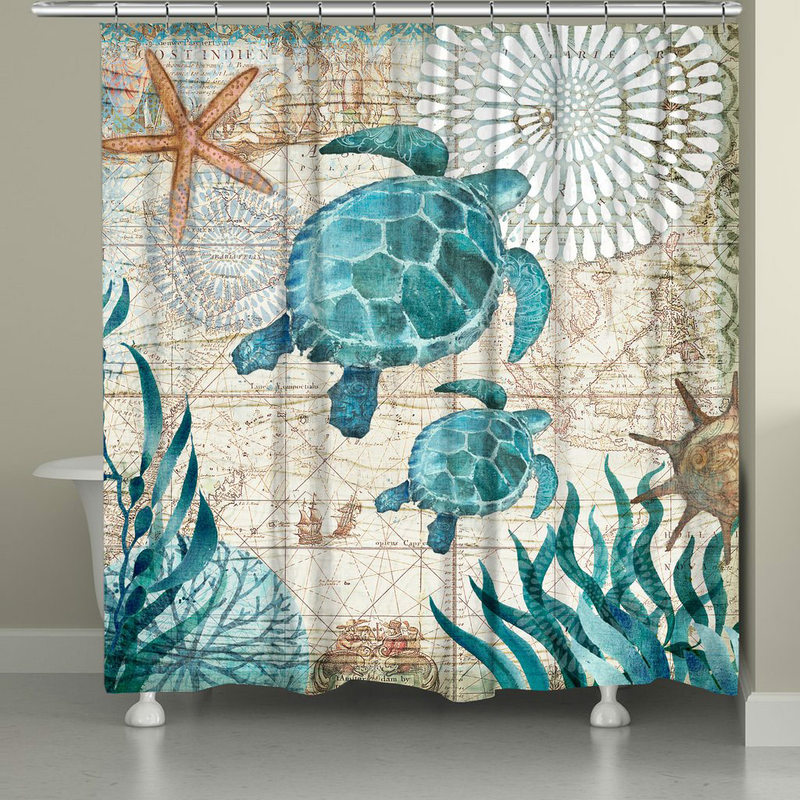 Decorate your bathroom in coastal style with the Sea Turtle Explorer Shower Curtain. This beach shower curtain is embellished with a sea turtle scene on an adventurous map background digitally printed to create crisp, vibrant colors. Ships from the manufacturer. Allow 1 to 2 weeks. Cannot express ship. For even more options, we ask you to take the opportunity to explore our full collection of beach shower curtains at Bella Coastal Decor now.